There are numerous decisions to be made when arranging a funeral. Below are some common questions associated when making this decision. A pre-arranged funeral is when a funeral is arranged in advance. Making these decisions today allows you to make logical, thoughtful arrangements your family will appreciate, as well as allowing you time to tend to every detail. What are the methods of pre-arranging a funeral? Pre-arranging your funeral can be very informal, and as simple as writing down your preferences and sharing your wishes with a family member. More formal arrangements in the form of a pre-need contract can be set up with a funeral home and can be pre-funded through life insurance, bank trust, or other methods such as revocable and irrevocable pre-need contracts. If you elect to pay for a funeral service in advance, the price of the services and merchandise are guaranteed. You are essentially paying for a funeral service at today's price, even though the need may not occur for many years. 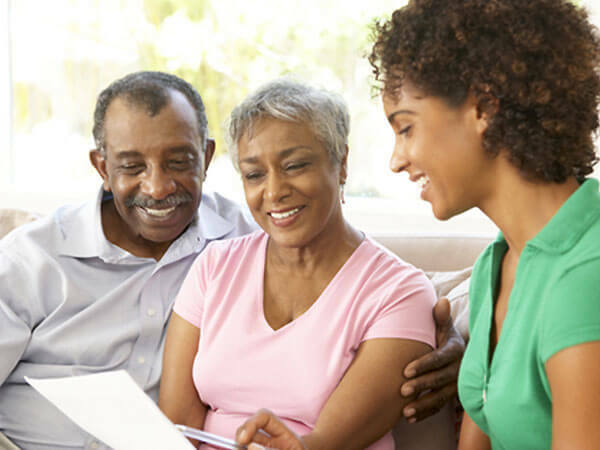 Through funeral home pre-planning programs you can be assured that your money is safely in trust and will be available at the time of need. What is the difference between a revocable and an irrevocable pre-need contract? The revocability of your plan refers to the pre-funding of your funeral. A revocable plan allows you to un-fund your pre-arrangement at anytime and spend the money as you wish. If your revocable pre-arrangement was funded with a bank trust, your principal plus all interest will be refunded to you. If your revocable pre-arrangement was funded with an insurance policy or annuity, the cash surrender value, less surrendered charges, will be returned to you. Most people choose to make their pre-funding irrevocable because they want to do what they can to ensure that the money will be there to pay for their funeral in the future. Irrevocable funds cannot be withdrawn for any reason prior to the death of the person for whom the pre-arrangement was made. What are some reasons why I should plan my funeral? It lets you make your wishes known, so your loved ones will not have to guess. They won't have to worry if they did the right thing. It eliminates emotional overspending from grief or guilt. Pre-arranging can bring peace of mind to your family's decision-making. It gives you a chance to personalize your funeral service and makes it a "celebration of life." It's a way to get your loved ones involved and make it a positive experience. It relieves you and your family from future financial responsibilities and burdens. It gives you total peace of mind. Pre-arranging- a thoughtful gift you can leave your family. You need facts about yourself, such as, your address, social security number, religious affiliation, military service records, and the names of your family members. This is an opportunity to tell about yourself and the type of funeral service you prefer. You should discuss your preferences with family and friends. Feel free to ask these people to accompany you when making your pre-arrangements. Advice from a funeral director is absolutely essential. A funeral director is well versed in all types of funerals, and is knowledgeable about the laws regarding funerals and final disposition, trusts, and insurance pre-funding rules. A funeral director will arrange to meet with you at a date and time of your convenience- at your home or the funeral home.